In these times of ongoing austerity, looming water charges, and general disaffection, God knows we could all do with a laugh. Let us raise our glasses therefore, in thanks and salutation, to writer Eamonn Kelly who delivers guffaws a-plenty in The Franz Kafka Centre for the Uninvolved, newly e-published and ready for download to a Kindle near you. The gist of the novella is best conveyed by Kelly’s own preface which I quote: “The Franz Kafka Centre for the Uninvolved, or The FKCU, was inspired by my time on a work scheme in the Peadar O’Donnell Centre for the Unemployed in Galway, during the 1980s recession. I worked as a social welfare adviser, ‘advising’ unemployed people about their various options, such as, ‘Leave the country quick, while you’re still young’. The book I started writing about these wonderful experiences was abandoned sometime in the Tiger boom when no one wanted to hear about the 1980s recession, myself included. ‘That’s all behind us,’ we said. ‘No use wallowing in the past,’ we said. ‘It’s a whole new Ireland now,’ we said. ‘We’re not going back to all that,’ we said. The main character in the story is Sedge, a fretful and frequently perplexed reporter for the Kafka Centre’s Uninvolved News. Through Sedge we get to meet the other personalities and cliques that inhabit the centre and witness their in-house rivalries and resentments, which Kelly portrays in hilarious detail. Among the vivid cast of characters, and one of Sedge’s chief tormentors, is hardline feminist Trish, who “drank whiskey like a cowboy” and “subscribed to the idea of splitting the world in two, with men in one hemisphere and women in the other”. The efforts of Sedge and his comrades to galvanise the downtrodden masses has little effect on the outside world. “You know what Ireland is like,” says Kelly. “If you had a protest march you’d have 20 people on it and maybe a 100 watching it to see who was going to be there. I put a lot of the psychology of that down to our whole post-colonial mentality. It manifests itself in the most peculiar ways - like our football supporters singing as we’re being beaten 6-1 by Germany. “I was committed at the time. I had emigrated when I was younger, I was like one of those left-overs from the Irish generation of the 1950s in London. I remember thinking ‘What am I doing here?’ I reacted to Brian Lenihan sr’s comments that Ireland wasn’t big enough for everyone and I came back to stay put, as bad as things were, with recession all around. 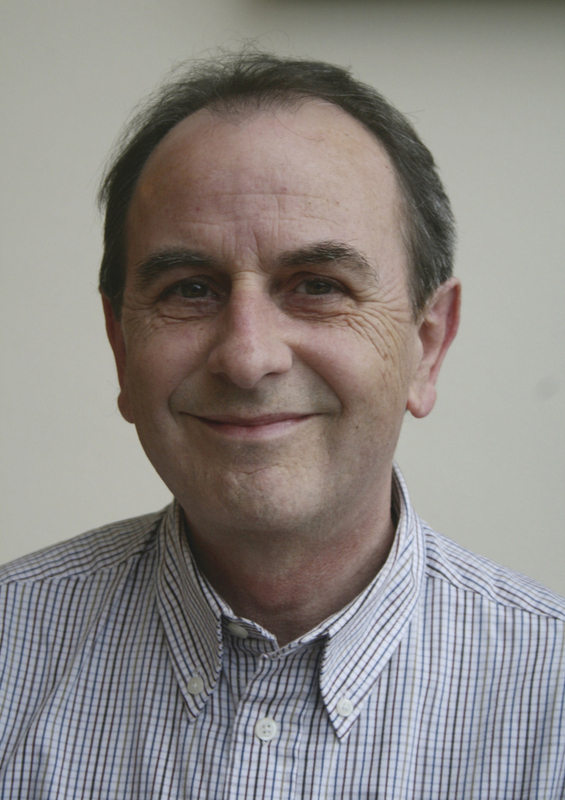 A native Dubliner, Eamonn has lived in Galway for many years treating local audiences in that time to such memorable comedies as Religious Knowledge, which ran for some 400 performances, Parental Guidance, Notton Doon, and Frugal Comforts. He was a founding member of the fondly-remembered Comedy Cumann and, in 2012, received the New Fiction Award at the Cúirt Literary Festival. He has also contributed journalism to The Irish Times and Irish Independent, as well as reviews to Books Ireland. Kelly’s most recent play, The Careerist, has just been long-listed by the BBC Script room. “It’s a Dublin gangster type thing,” he reveals. “I first wrote it about four years ago and developed it over the last while. I sent it to the Abbey last year and they really liked it. It’s structured a bit like Pinter’s The Caretaker. While we wish Eamonn every success with The Careerist, readers in the meantime can treat themselves to the wonderful satirical delights of FKCU, available from Amazon.